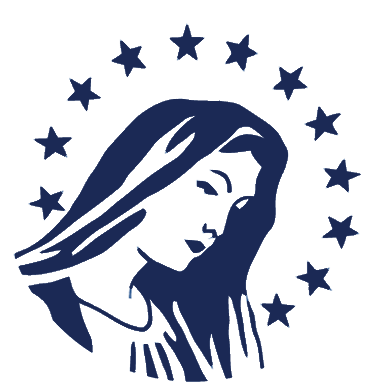 Mother of Divine Grace School offers a Teacher Review Program for homeschooling families. We also have several programs for additional assistance and support: Teacher Services, Learning Support Program and the Special Services Program. These programs can only be done in conjunction with our Teacher Review Program. For information on these programs please see our Programs page. To see information on the cost of enrollment, check out the Pricing Breakdown page. If you have questions about any of this information, please contact our office at (805) 646-5818. Online syllabi will be provided with enrollment. Enrolled families can also purchase paper copies of syllabi directly from MODG at a 30% discount. Once we receive your enrollment application we will contact you within a few weeks to notify you if we have been able to accept your enrollment. Please note: You must make a payment with your enrollment. Payment may be made by credit card or check. Checks should be made payable to Mother of Divine Grace School. If we are unable to process your enrollment, we will return any payment that has been made.